There's been a fundamental problem holding back the development of gadgets for the last decade or so. While processing power, storage capacity, wireless speed, and even display quality are growing at a phenomenal and steady rate, lithium ion batteries really haven't changed at all. The best that manufacturers can do is either create smaller components to make more space for the battery bay or make those components more efficient. LG Chem has created one of the first truly exciting innovations in battery tech in a long time: a Li-ion battery that's flexible enough to twist into almost any shape necessary. The basic chemical properties of the battery remain untouched. Copper wire coated with an alloy of nickel and tin creates the anode, which is tightly coiled like yarn or rope. 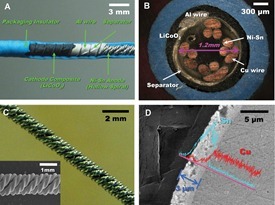 The coiled wire is the surrounded by aluminum, which is then coated with cobalt oxide to create the cathode. After both are wrapped in a protective coating, the space in between is filled with electrolyte. 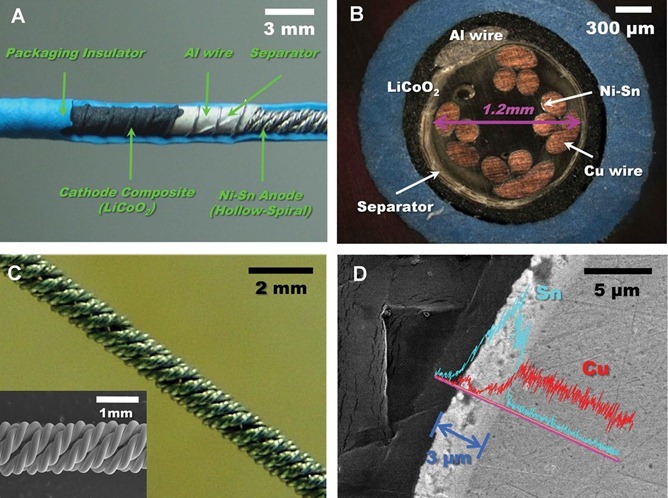 LG claims that since the process is chemically identical to the layered Li-ion batteries currently in smartphones and tablets, it creates batteries that store the same amount of energy in a given space, but with the added advantage of being flexible and shapeable. They've already got this tech powering small devices. The possibilities are staggering. 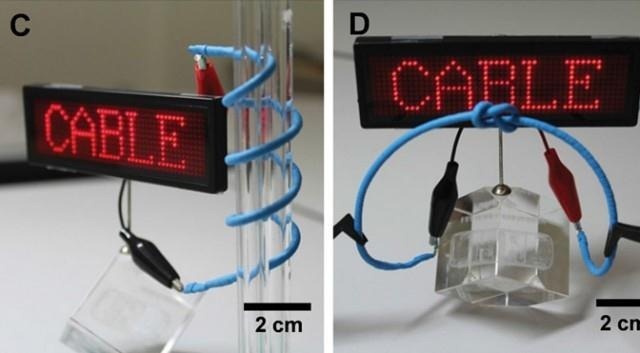 In its simplest application, this flexible battery could be used to fill nearly all available space inside a gadget's housing. Tablets, especially, could benefit from a battery that wasn't restricted to semi-rectangular shapes. But perhaps the biggest application would be for non-traditional form factors like "smart" watches or FitBit-style sensors, for which all-day battery life currently requires a gadget that's much bulkier than it might need to be. There are some potential pitfalls as well. Watching LG's demonstrations, it doesn't look like these cable batteries are any lighter than current models by volume. Flexible gadgets would also need to have some extra engineering in order to keep from potentially dangerous breaks to the battery casing. The good news, in a manner of speaking, is that LG should have plenty of time to iron out the details: they're not expecting the flexible cable batteries to hit the market until 2017. Maybe we'll see an Optimus Maximus (running Android 7.0) as the debut gadget.